this pedal seems so cool and theres nothing about it on this site? it has bass, mid and treble boost stomps, what more could you want? The idea of it reminds me of the Maestro FRB-1 Full-Range Booster. It seems like it's probably a similar thing except with footswitches instead of toggles. 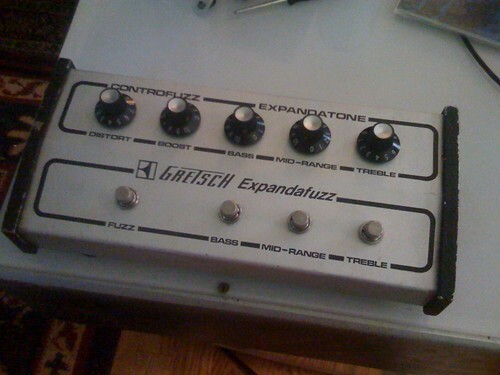 iamadamb wrote: this pedal seems so cool and theres nothing about it on this site? RnFR wrote: is it yours? if it were mine you guys would have gotten gut shots up the yang!